. The planned 'Aadhaar Seva Kendras', conceptualised on the lines of Passport Seva Kendras, will offer "hassle-free" enrolment and update facility to ensure ease in Aadhaar-related services to residents, UIDAI CEO Ajay Bhushan Pandey said on Tuesday. Meanwhile, UIDAI sources said that these kendras will be supervised directly by the authority's own employees. 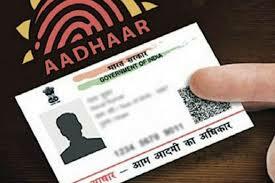 Hello sir/madam I have pass super wiser Exam and i want to take license or enrolled of aadhar card of all tool kit. Hello sir/madam I have pass superviser Exam and i want to run Adhar Seva Kendra.